We are on our way to Sakleshpur—a hill station known for its coffee plantations—a smooth six-hour drive from Bengaluru. The last stretch is a dirt track, with the tarmac ending and natural terrain taking over. The bumpy estate road winds and turns as our vehicle slowly manoeuvres its way lower and lower into the valley. The architecture reflects the green philosophy of the place. The gol ghar—open-on-all-sides gazebo—doubles up as dining hall and multipurpose common area. The nip in the air whips up my appetite, as I relish the warmth and flavour of home-cooked delicious Malnad-style lunch comprising akki roti (rice pancake), honey, spicy curries, steaming hot rice and midigai (tender mango) pickle. After a short siesta, I climb up a machan (platform on a tree) on an adjacent hill. Twittering winged beauties keep me company while I take in the stunning view of the rolling hills juxtaposed with thick green Shola forest cover. As evening sets in, I gear up for adventure and set off along with others on an off-road driving experience to the neighbouring hills. The drive, up a steep rugged terrain, is gruelling. This ride definitely is not for the faint-hearted! We scream and cling on to the ropes provided and sides of the vehicle, ducking thorny jungle bushes to ward off being tossed off by swerves and jerks. I can hear the tyres grinding the dry mud and heave a sigh of relief as the drive finally ends! We stop at a high vantage point to take in the view of the undulating hills, wild flowering trees and magnificent valleys clothed in luscious coffee and tea plantations. While returning, we follow the gurgle of a stream that forms limpid pools and milky-white cascades here and there. A descending pathway, lined by towering trees entwined with creepers, leads us to the icy cold water of a nearby waterfall. The mineral-rich water sparkles as it tumbles down, working wonders on our jaded nerves. Later, we sit by the crackling fire, listening attentively to Vikram, an excellent raconteur, wildlife enthusiast, coffee planter and eco-conservationist all rolled into one, narrating tales of his jaunts into the Bisle forest, an extremely picturesque destination within driving distance from the resort. 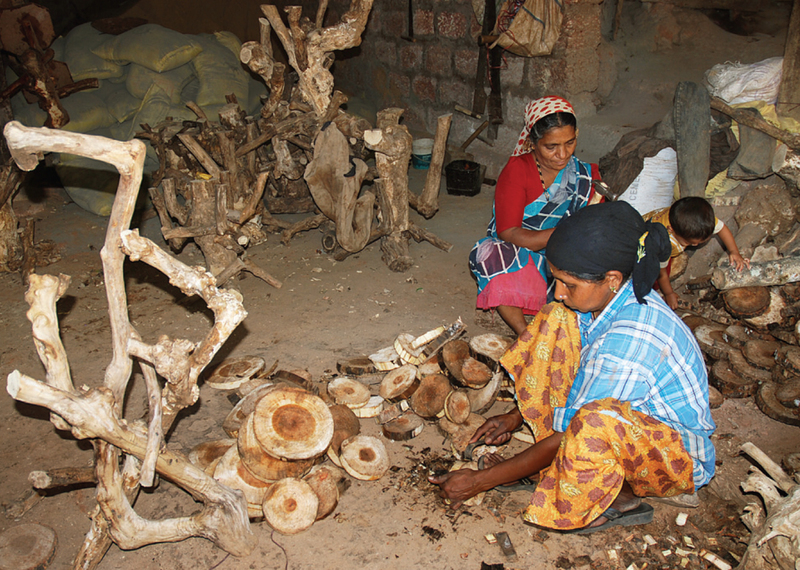 Sakleshpur lies bang in the midst of the Western Ghats, a biodiversity hotspot and a place of immense scenic beauty. Having lived all his life in the region, Vikram knows every yard of the forest and every aspect of these ranges, from trekking and rare flora and fauna to wildlife photography and bird watching. Next morning, we head to EKA resort, an enticing getaway tucked in a verdant coffee plantation in Sakleshpur. Rows of coffee bushes drenched in sparkling white blossoms and studded with red berries greet us, while their exquisite fragrance envelopes the air. 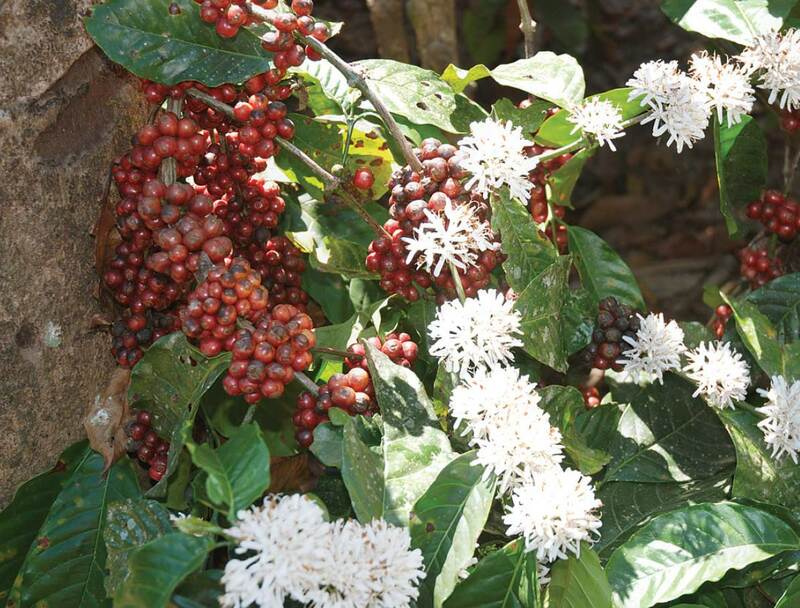 It is a heady experience walking through the coffee plantations at blossom time. A guide takes me around explaining the coffee bean’s journey from the plant to the cup. 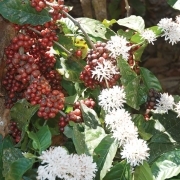 “The picking of coffee berries starts in December and goes on till the end of February. Then, the berries are cleaned; the pulp also needs cleaning and soaking to maintain quality. This takes two to three months.” Later, sitting in the balcony, I watch some workers spreading coffee beans to dry in the courtyard. While EKA is an ideal destination to wallow in languor, it also provides an excellent base from which to explore the delights of the Western Ghats. There are innumerable trekking and birdwatching opportunities for the adventure enthusiast. The diverse habitat of Bisle reserve forest, one of the country’s most magnificent rainforests, is home to an amazing selection of fauna such as the endangered lion-tailed macaque and slender loris. At Bisle Betta, with the green mountain ranges touching the sky, we clamber up an observation tower at the highest point to feast on the serene beauty of the region. Watching the snow-white clouds kiss Kumara Parvatha is a delightful experience. No trip to Sakleshpur is complete without a visit to the Sakaleswara temple—a marvel of Hoysala architecture—at the entrance of town. The Hoysala dynasty ruled this region from 11th to 14th century AD. 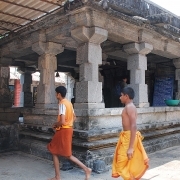 Legends claim that the Hoysalas found a broken Shiva lingam and promptly named the town Sakleshwar (which later came to be known as Sakleshpur). There is, however, another school of thought that claims that the town was so named because it was sakala-aishwarya-pura, meaning it was blessed with all kinds of wealth. 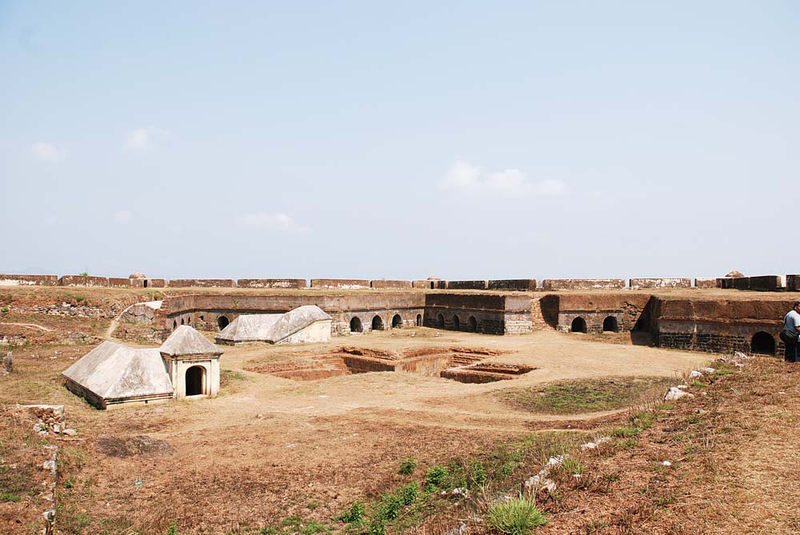 Taking a detour, we reach the last stop in our itinerary—the star-shaped Manjarabad Fort—located in off the busy Bengaluru-Mangalore road. As we enter, an eerie silence greets us. 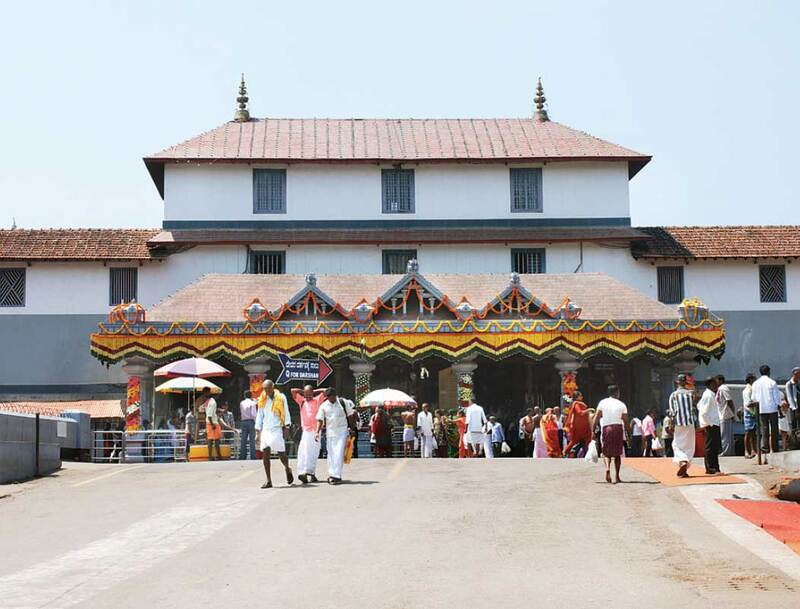 This unique architectural site resonates with history and is believed to have been built during the reign of Tipu Sultan in 1792, to ward off enemies who could infiltrate from Madikeri and Mangalore. 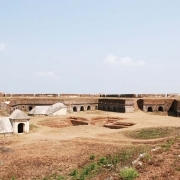 The fort is nestled 3,240 ft above sea level and a climb to its ramparts offers a scenic view of the ghats. I am intrigued by the unusual architecture—eight angular limbs stretching in eight directions. Ambling in the premises, I find a plus-shaped well at the exact geometric centre of the fort. Besides it are two other wells, meant for preparing and storing gunpowder. Along the inner flanks of the fort are many rooms that would have served as stables, guard quarters, food stores and so on in the past. Indeed, with its quiet plantations, good coffee, great views and pleasurable diversions such as this one, Sakleshpur lingers on like the aftertaste of coffee, brewed lovingly. 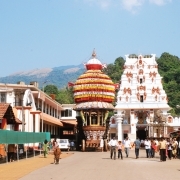 Sakleshpur town is in Hassan district and lies between Coorg and Chikmagalur at an elevation of 3,100 ft.
September to March is usually considered the best time to visit. If you want to see coffee blossoms, January-March is ideal. 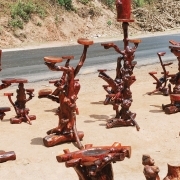 By road: It is 240 km from Bengaluru and 150 km from Mangalore. One can use the Bengaluru-Mangalore highway (NH 48). 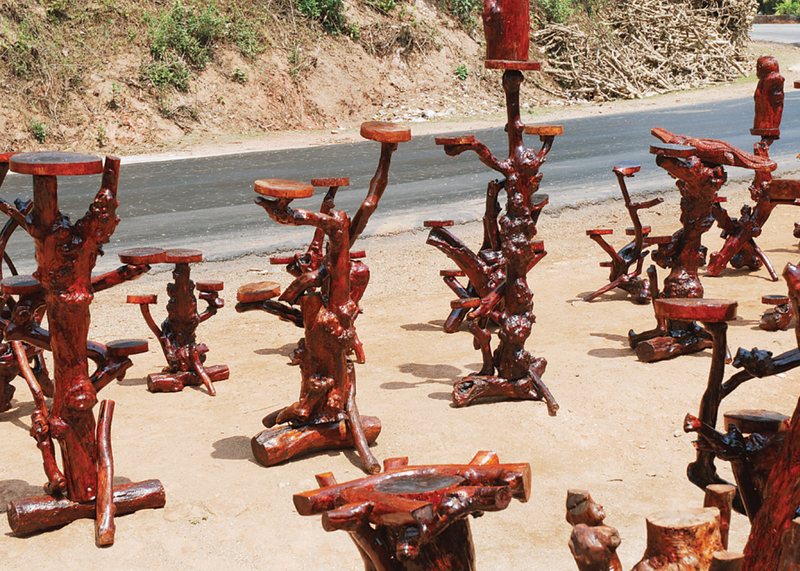 Besides coffee and spices, one can pick up decorative coffee stump furniture on the National Highway. 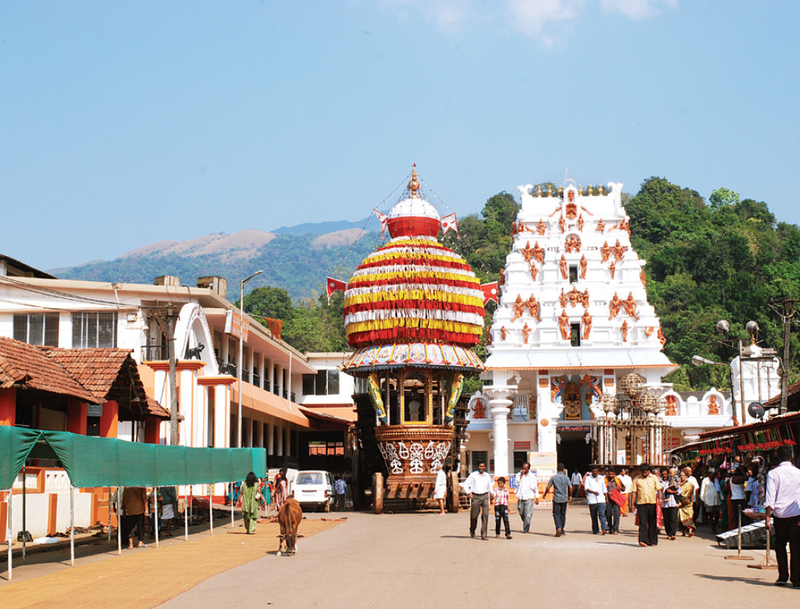 Dharmasthala: For a divine experience, head to Dharmasthala, 70 km from Sakleshpur, the most visited pilgrim centre in Karnataka. 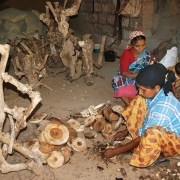 It is famed for the Manjunatha temple, an incarnation of Shiva and a multitude of Jain basadi. A 39-ft statue of Lord Bahubali carved out of a single stone is just a hop, skip, and jump away. Other interesting attractions in close proximity are Manjusha Art Museum, a veritable treasure trove of ancient manuscripts and artefacts, and the Car Museum with an amazing collection of vintage cars. 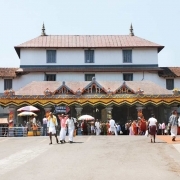 Kukke Subrahmanya: Nestling at the base of the Western Ghats, on the banks of the river Kumaradhara, is the temple town of Kukke Subrahmanya, 39 km from Sakleshpur. Special naga puja is undertaken here. 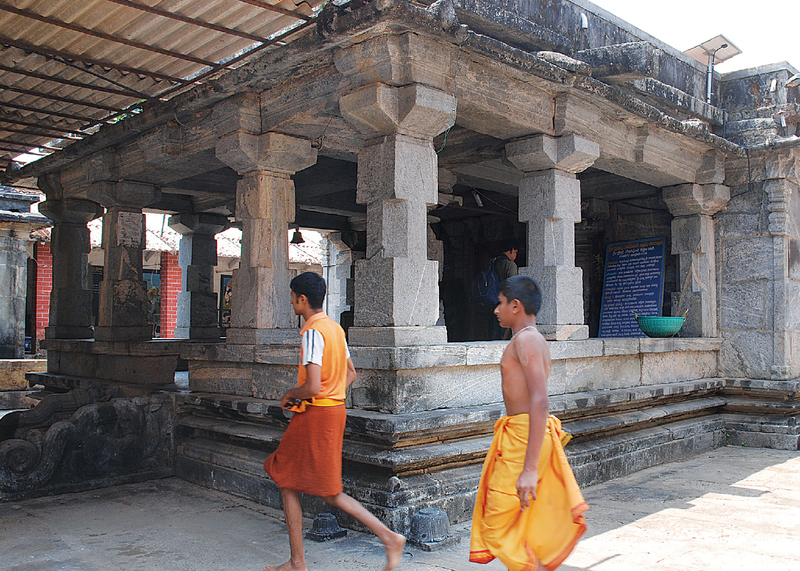 Close by is the Adi Subrahmanya temple with an enormous anthill.